The drive from Tennant Creek to Alice Springs follows the route of the famous explorer John McDouall Stuart on his journey from Adelaide to Darwin. This corridor later became the alignment for the Overland Telegraph Line allowing crucial communication between Australia and England. 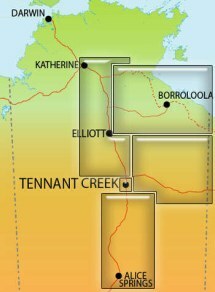 Three of the Telegraph Stations along this route can still be visited at Tennant Creek, Barrow Creek and Alice Springs.